You can order kundalini chakra pendant now on Agate Export. 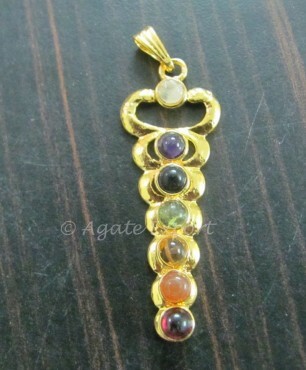 The stones on this pendant are arranged in such a fashion that they show the path in which the kundalini energy flows. It will stimulate your chakras and ground you.